A Tree of Life Bone Pendant Bead is worked into a lead-free silver metal slide bail with a hole opening of approximately 3mm. 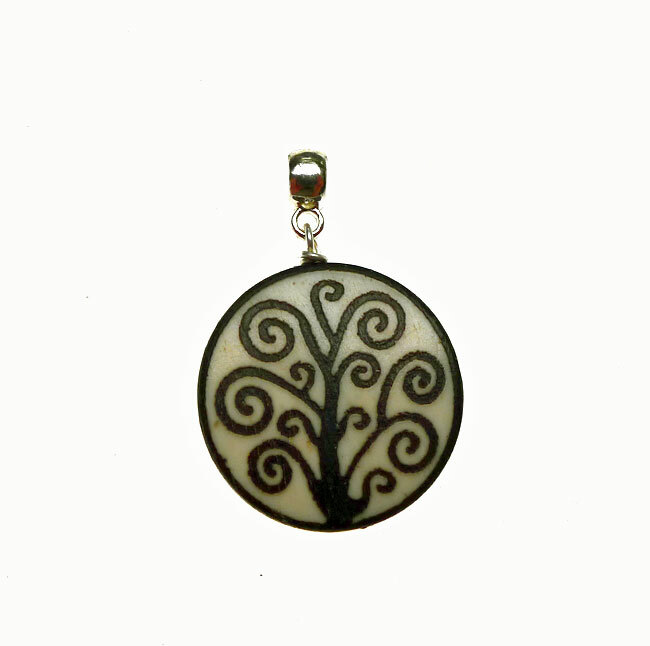 These Tree of Life Pendants are double sided and measure almost 1-inch in diameter. These pendants are hand-made of natural bone material so variations should be expected. Sold by Pendant.